As a FREE community service, Greenwood is pleased to provide the Vital I.C.E. app. 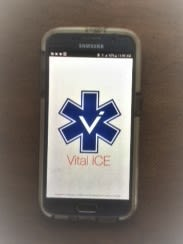 Vital ICE is the premier In Case of Emergency app that helps save lives. Free for download, this public safety app stores vital user medical information, emergency contacts and more. And in case of an emergency, it can be easily accessed by EMS and first responders in situations where the user is unable to speak or is otherwise incapacitated. First responders are given access to our back office site, where they can send emergency communications and other alerts to local app users. For additional information go to: http://www.greenwoodfuneralhomes.com/resources/vital-ice.